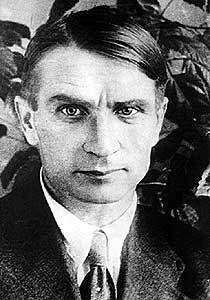 Trofim Lysenko was a Soviet biologist and agronomist who rejected the research of Gregor Mendel, which was then and is now considered a basic foundation of genetics. Instead Lysenko pursued what was called "socialist genetics," politicized science that made him the favorite scientist of Soviet dictator Josef Stalin. In 1927 Lysenko reported a stunning breakthrough, describing a new method to fertilize fields without the use of fertilizers or minerals, using a process called vernalization, in which germinating seeds are exposed to low temperatures under conditions allowing scientists to control the plant's flowering time. Vernalization is a proven biological phenomenon, but Lysenko's methodology was the opposite of the scientific method — he designed his research to reach pre-ordained results, and by habit and policy he ignored any results which did not advance his theories. He claimed that the process of vernalization could be inherited in plants, and reported experiments that supposedly yielded healthy, robust pea plants even in the dead of winter, in subsequent generations of plants untreated by vernalization. In the impoverished and frequently frozen Soviet Union, Lysenko's falsified findings were trumpeted widely in state-owned media, and he was portrayed as a hero of the Soviet state. Lysenko was placed in charge of the Academy of Agricultural Sciences, overseeing the Soviet Union's entire research program dedicated to increasing crop yields. His methods were mandated on collectivized farms across the Soviet Union and throughout the USSR's international sphere of influence, and played a key role in repeated famines that left many millions of Soviet citizens dead and mired research in the Soviet Union for decades. Under the Soviet system all science was funded by the state, which meant that so long as Lysenko remained in Stalin's good graces it was career suicide for any scientist to dispute him. Few did, and Lysenko's opponents were frequently sent to the gulag. Science textbooks were rewritten, with Lysenko's work replacing what he called "alien foreign bourgeois biology". Even after Stalin's death and denunciation by Nikita Khrushchev, Lysenko maintained his position at the apex of Soviet science until the mid-1960s.